Welcome to warmer weather Wesleyan—or was that rise in temperature just temporary relief? Either way, the school year will shortly be coming to a close, and our cinematically inclined seniors must leave the Wesleyan bubble for the wider world. We will be sad to see them go, but their departure brings exciting changes as we welcome new additions to the Film Board and shuffle around the responsibilities for returning members. As we reorganize, we are pleased to introduce Cinefiles writer Julia Levine ’20, who will be taking Genyu’s (Genyu Zhang ’20) spot as co-columnist as he moves to a different role on the board. We’ve included a short message from her. Hello readers! My name is Julia, and I am currently a sophomore and a Film and English double major. I’ve been a crewmember for several short films at Wes, a PA for a senior thesis (Come see 16mm “Disco Calls!”), and a writer for Intercut. As an avid film series attendee, I am happy to be joining the board and to bring you news about all of the great films we’ll be showing at the Film Series! When I’m not watching movies, you can find me reading, napping, or spending exorbitant amounts of time in the omelet line at Usdan. This week marks the continuation, and unfortunately, the conclusion of our International Female Filmmakers mini-series. The final installment in this series of contemporary films brought to us by women from around the world is animated soon-to-be-classic “A Silent Voice.” It’s a trailblazing film, as female directors are not commonly found in the anime world, and this one really did make an impact. Having won the title Anime of the Year at the Tokyo Anime Award Festival and Best Animation of the Year at the Japan Movie Critics Awards, this 2016 teen drama is sure to leave an impression. In conjunction with this series on the calendar, Film House and International House thought it would be fitting to band together to organize an event to celebrate international female filmmakers. This event will take place tonight at 8 p.m. at 230 Washington Street. We will be screening a carefully selected series of short films from countries from around the globe. They’ll be stirring, scary, and silly, from Kenya, Mexico, Ireland, and Bosnia and Herzegovina. Don’t miss this unique opportunity to catch contemporary shorts from the women making waves across this planet. Japan. Dir: Naoko Yamada. With Miyu Irino. Animated. 130 min. Wednesday, April 18. 8 p.m. Free. Naoko Yamada’s third foray into feature filmmaking has been a colossal success with “A Silent Voice” making a splash in countries around globe. An anime film that has been praised for its sensitively drawn animations and insightful portrayals of childhood and adolescent pain, this film will be sure to steal your heart. “A Silent Voice” follows a young girl with impaired hearing who moves to a new school and is forced to reckon with the torture of school bullying. The LA Times called it “an unflinching depiction of the cruelty children inflict on each other,” but there is light within it too. Years after all the terror one of the bullies, the narrator of the film, reaches out to make amends. Overall, it’s a touching teen drama you’ll be grateful you saw on a big screen. Mexico/USA. Dir: Viktor Jakovleski. Documentary. 67 min. Thursday, April 19. 8 p.m. Free. Join us for a special event this Thursday, as we screen German director Viktor Jakovleski’s first feature-length film, “Brimstone & Glory” and Wesleyan alumni Dan Janvey ’06 and Kellen Quin ’05 come back to their old stomping grounds to tell us about their work producing the film. “Brimstone & Glory” is set in Tultepec, a town in south-central Mexico, home to the annual National Pyrotechnics Festival. As the winner of Best Documentary Feature at San Francisco International Festival, this sparkling firecracker of a documentary is guaranteed to add vivacity and beauty to your week. UK. Dir: Paul King. With Ben Wishaw, Hugh Grant. 103 min. Friday, April 20. 8 p.m. $5. What better way to spend your evening on 4/20 than to watch this vibrant, live-action animated comedy featuring everyone’s favorite talking bear? This time around Paddington finds himself in jail, framed for the theft of a beautiful vintage pop-up book, and with his token kindness and charm, our title character must prove his innocence and clear his name. 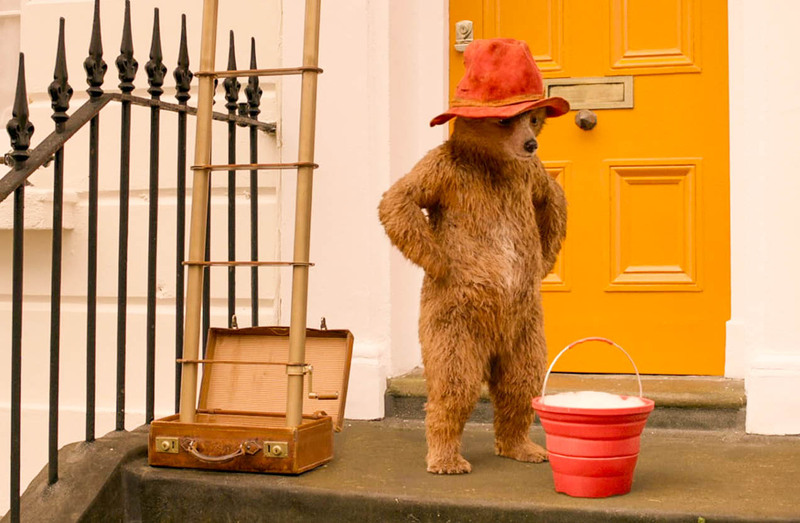 Whether you’ve seen the first “Paddington” or not, this heartwarming sequel will not disappoint. Japan. Dir: Akira Kurosawa. With Toshiro Mifune. 143 min. 35 mm print. Saturday, April 21. 8 p.m. Free. Those who enjoyed the “Seven Samurai” during our November calendar can look forward to “High and Low,” another Kurosawa film, on Saturday. This suspenseful mix of police procedural and domestic drama follows Kingo Gondo, a wealthy shoe industry executive, in the aftermath of an ill-executed kidnapping intended for his son. Instead, the child of his chauffeur is mistakenly taken, and Kingo Gondo must decide whether or not to pay the ransom and save the boy. In this must-see film, Kurosawa provides not only a thrilling plot and compelling characters but also a pointed social commentary. Don’t miss it! Beatrix Herriott O’Gorman and Julia Levine can be reached at bherriottogo@wesleyan.edu and jjlevine@wesleyan.edu.